See the railroad trestle bridge that the boys crossed in the early scenes of the 1985 movie "Stand by Me." 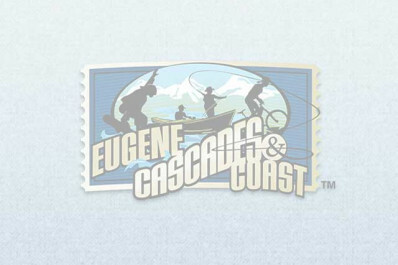 It is located along the Row River Trail which replaced the original tracks of the Oregon Pacific and Eastern Railway. Go to the primary trail head for the Row River Trail, adjacent Mosby Creek Covered Bridge. From here it is easy to reach the distinctive orange railroad bridge. DIRECTIONS: east on Main St, which turns into Mosby Creek Rd. Turn left on Layng Rd, then left again into the parking lot.